Dr. Carmen Vazquez has extensive experience speaking, conducting workshops, and participating in seminars. Not only does she bring expertise from over 25 years as a clinician, researcher, and gifted teacher, but also her lively speaking style that engages audiences. Presenting at Symposium entitled Loss, Grief and Resilience: Lessons Learned Adapting Clinical Work in Disasters Across Different Cultures at 5th World Congress of the World Association of Cultural Psychiatry to be held October 11-13, 2018 at Columbia University Morningside Campus New York, New York. Presentation on Parenting with Pride Latino Style in the Continuing Education Course “Diversity Challenges in Independent Practice: Building Multicultural Competence” sponsored by the New York State Psychological Association. Vazquez, C.I. 2003. Assessment and Treatment of Latino Patients: Children, Adolescent and Adults. Fordham University School of Education New York New York. Vazquez, C.I. 2001. Latinas Depression Somatization and Heart Disease. Sociedad Interamericana de Psicologia SIP 2001 Congress. Santiago, Chile. Vazquez, C.I. 2001, The Culturally Competent Provider. Invited speaker Annual Meeting Association of Hispanic Mental Health Providers. New York, New York . Vazquez, C.I. 2001, Decision of a Lifetime. Division of Psychoanalysis 39, Graduate Students Panel, American Psychological Association. Annual Convention, San Francisco, California. Vazquez, C.I .2001, Cultural Competence Guidelines. II National Multicultural Conference and Summit, Invited Speaker, Santa Barbara, California. Vazquez, C.I., 1998, The Maria Paradox: How Latinas Can Merge Old World Traditions with New World Self Esteem. 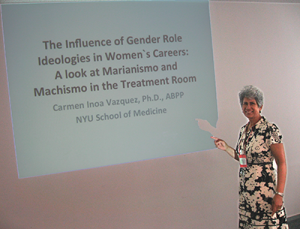 Invited speaker to Latin Ladies in Power Conference, Pace University, New York, New York. 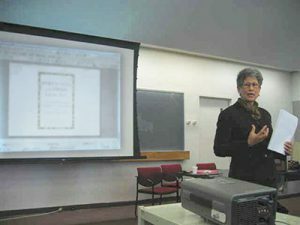 Vazquez, C. I., 1998, Understanding Depression in the Latina Woman, Ground Rounds Presentation at Gouverneur Hospital, New York, New York . Vazquez, C. I., 1997, Psychodynamic History & Family of Origin – Seminar presentation at The Latino Family Institute, Oakley, Chicago. Vazquez, C.I., 1997, The Role of Powerlessness in the Understanding of Depression in Latinas. Invited speaker to 8th Annual Symposium Sociedad Medica Dominicana. Marriot Eat Side, New York, New York. Vazquez, C.I., 1997, La Gran Tertulia- Workshop presentation at Hostos Community College, Bronx, New York. Vazquez, C.I., 1996, The Dominican Culture. A workshop presentation at the Ethnicity & Family Therapy Conference, Fordham University, New York, New York. Vazquez, C. I., 1996, How to Understand Marianismo and Machismo. Keynote speaker at Hispanic Heritage Week Celebration – Lehigh College, Bethlehem, Pennsylvania. Vazquez, C. I., 1996, Domestic Violence, Clinical Considerations for Latinas, invited speaker to Annual Symposium , Sociedad Medica Dominicana, September. Vazquez, C. I., 1996, Domestic Violence, The Unspeakable Condition for Latinas. Keynote speaker at Houston Area Women’s Center Annual luncheon, Houston, Texas. Vazquez, C. I., 1996, Acculturation and the Latina Woman, Ground Rounds Presentation at Baptist Hospital, Far Rockaway, New York. Vazquez, C. I. , 1996, The Urban Hispanic. Invited Address speaker at Education Miniconvention American Psychological Association, Toronto, Canada. Vazquez, C.I., 1996, An Exploration into the relevance of Acculturation in Mental Health. Invited speaker to 100 Hispanic Women First Mental Health Conference: By Ourselves: Trauma, Mental Illness and the Latina Woman. New York University, New York, NY. Vazquez, C. I., 1995, Spousal Abuse and Violence Against Women. Invited speaker at Symposium Women and Mental Health. The New York Academy of Sciences, New York, NY. Vazquez, C. I., 1995, What is a Culturally Competent Psychology, Why and for Whom it is Important – participant in Round Table Discussion. 103rd Annual Convention of the American Psychological Association, New York, New York. Vazquez, C. I., 1993, Understanding Socio Cultural Influences in Psychological Testing. Paper presented at Adelphi University, L.I. Vazquez, C. I., Blandino, R. , 1993, The Role of Cultural/Contextual Mechanisms Underlying Family and Psychoeducation Groups with Hispanic Families of HIV patients. Paper presented at World Congress. World Association for Psychosocial Rehabiliation, Dublin, Ireland. Vazquez, C. I., 1992, The Hispanic Elderly. 100 Annual Convention of the American Psychological Association, Toronto, Canada. Vazquez, C. I., 1991, The Hispanic Child: Relevance of Socio-Cultural Influences. Workshop presented at Conference Taming The Testing Controversy: A Substantive Four-Track Conference, Education Records Bureau, October, New York , New York . Vazquez, C. I., 1991, The Relevance of Cultural Identity for Hispanics within the Therapeutic Dyad. 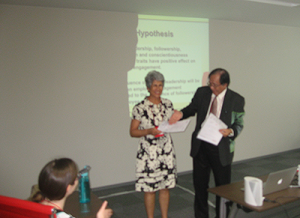 Workshop presented at the Winter Roundtable on Cross-Cultural Counseling and Psychotherapy. Teachers College, Columbia University, February 1991. Vazquez, C. I., 1988, The psychoeducational model for families of chronic patients. Annual Hispanic Conference on Family Therapy at New York University Medical School, New York, New York. Vazquez, C.I., 1988, Career Planning in Mental Health for Minorities­ presented at American Orthopsychiatric Association 65th Annual meeting, San Francisco, California. Vazquez, C. I., 1988, Training the Minority Psychologist. Invited speaker at the NIMH conference for Training of Minority Clinical Psychologists at UCLA, Los Angeles, California. Vazquez, C. I.,1988, Relevance of Ethnicity in Mental Health ­ Grand Rounds, presentation at Gouverneur Hospital, New York, New York. Vazquez, C. I., 1988, The Stress Factor in Mental Health for Hispanics ­ Grand Rounds presentation at Lincoln Hospital, Bronx, New York. Vazquez, C. I., 1987, Family Strivings for Dominicans. Invited speaker at Dominican Mental Health Conference. Columbia Presbyterian Hospital And Universidad Autonoma de Santo Domingo­Columbia Presbyterian Hospital, New York, New York. Vazquez, C. I., 1988, Faculty Resource person at workshop entitled: The impact of Militarism on Mental Health for Hispanics. Presented at Physicians for Social Responsibility Conference, Washington, D.C.
Vazquez, C. I.,1987, Statistical Trends in the Training of Minorities in Mental Health. National Association of Social Workers Conference, Washington, D.C.
Vazquez, C. I., 1986, Issues of Language and Culture in the treatment and Diagnosis of Hispanics. Invited Speaker at Minority Conference City University of New York, Graduate Program, New York, May 1987.Vazquez, C. I., “Linguistics Considerations Working With_Hispanic Families.” First Hispanic Conference on Family Therapy, N.Y.U. Medical School, New York, New York. Vazquez, C. I., 1986, The Effect of Interview Language on the Evaluation of Psychopathology. Invited Speaker at Conference “Treating Hispanic Clients, Cultural, Ethnic and Linguistics Considerations – Mental Health Task Force for Hispanics and the Clinical Psychology Program of Long Island University, Brooklyn, New York. Vazquez, C.I., 1986, Faculty Resource Person at workshop entitled: Minority Research: Shared Problem Analysis of Design and Policy Strategies. Presented at American Orthopsychiatry Association. 63rd Annual Meeting, Chicago, Illinois. Vazquez, C. I., 1986, Does Inpatient Psychotherapy for Hispanics Follow a Procrustean Model? Paper presented at Roundtable Defining and Developing Strategies for Multicultural Competence, Columbia University Teachers College, New York, New York. Vazquez, C. I., 1985, Linguistics Considerations in the Effective Delivery of Mental Services and Education to Hispanics. New Directions in Assessment and Psychotherapy with Hispanic Bilinguals. American Public Health Association, 113th Annual Meeting, Washington, D.C.
Vazquez, C.I., 1985, Presider, Symposium. Mental Health Research: Minority Concerns of the American Public Health Association. 113th Annual Meeting, Washington, D.C.
Vazquez, C. I. 1985, Invited Speaker at the Manhattan Teen Pregnancy Network Spring Conference. N.Y.U., New York, New York. Vazquez, C. I., 1985, The Hispanic Adolescent: Cultural Views on Pregnancies and Sexuality. Invited Speaker at the Manhattan Teen Pregnancy Network Meeting. New York, New York. Vazquez, C. I., 1984, How to Answer Your Child’s Sexual Questions. Invited speaker at “Student Week,” Hostos Community College of CUNY, New York, New York. Vazquez, C. I., 1980, Development, Research and Usefulness of TEMAS. Presented at the 43rd Annual Convention American Imagery Conference. The Waldorf­Astoria, New York, New York. Vazquez, C. I., 1979, Preliminary Findings of Research with TEMAS, Fantasies of Bilingual Children. Presented at the Projective Techniques Conference, Statler Hilton Hotel, New York, New York.